Floor church candle-stand - 710-1 (16 candles) - Istok Church Supplies Corp. 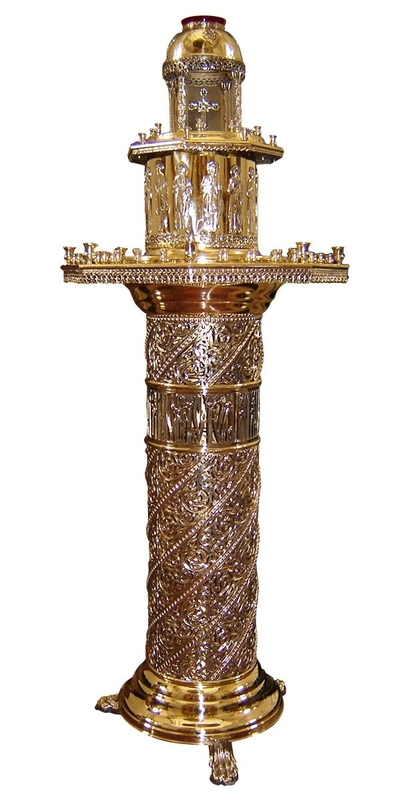 Traditional Orthodox Christian church Orthodox Church floor candle-stand. A copy of the XVI century prototype. Solid Russian-made product. Brass, hand-casting and hand-polishing. Size: 0.0''x63.0'' (x160 cm).